As Vice-President, Regulatory Affairs, Content and Distribution, Kevin Goldstein oversees all regulatory issues for local, specialty and pay television, radio, digital and on-demand content, as well as for Bell TV. 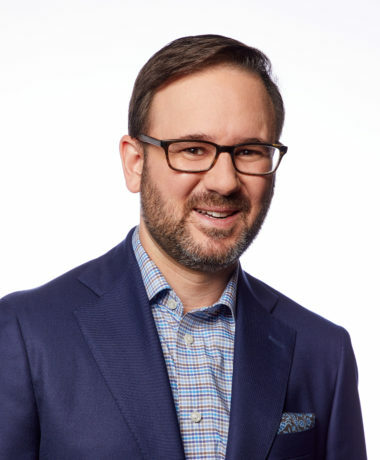 Goldstein joined Bell following BCE’s acquisition of CTVglobemedia, where he had held the position of Vice-President, Regulatory Affairs since 2007. Prior to that, he was Director, Regulatory Affairs, Radio & Television for CHUM Limited. Over the last several years, Goldstein has played a key role in a number of major files, including BCE’s acquisition of Astral Media, the sale of CTV to BCE and CHUM to CTVglobemedia, as well as CHUM’s purchase of Craig Media Inc. He has also worked on a series of important CRTC policy proceedings, including decisions relating to the group-based licensing framework for private television, the renewal of Bell Media’s television licences and the recent TV Policy Review hearing. Prior to joining CHUM, Goldstein worked in business and regulatory affairs at Corus Entertainment and practised law with Osler, Hoskin & Harcourt LLP in Ottawa. Kevin was a Director of the Canadian Association of Broadcasters from 2007 to 2017 and was Chair of the Association in 2014 and 2015. He was recently named one of Canada’s leading lawyers under 40 by Lexpert Magazine. He holds a Bachelor of Arts (1995) and a Bachelor of Laws (1998) from the University of Manitoba.